Kennewick and Salish are both featured in this video shot by me from Keystone Harbor. Kennewick re-positioning for the start of her service day. - morning of July 17, 2014 in Port Townsend. 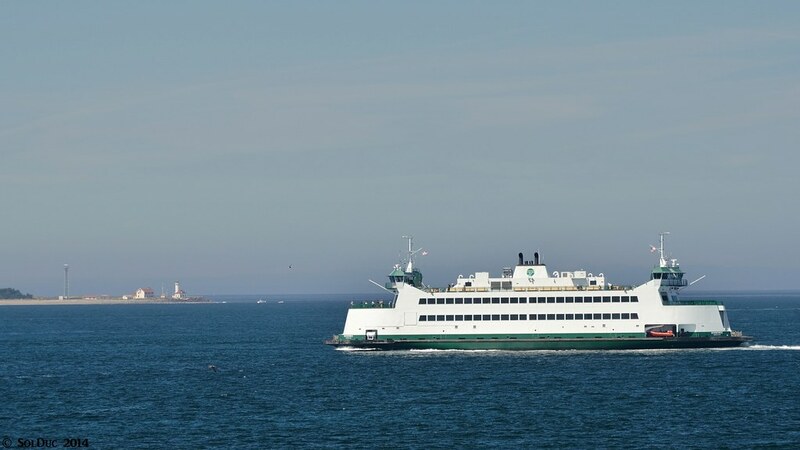 Kennewick and Salish have a tough time "threading the needle" through the maze of "I'm not moving" types of boaters, in Admiralty Inlet. Add fog to the mix, and being a ferry skipper is a very tough job. Looks like Three Points Mountain on the right and White Horse Mountain on the left. Salish & Kennewick scenes, shot from a few different locations during the day in Port Townsend. For some reason there was one horn back from April that I didn't post here. 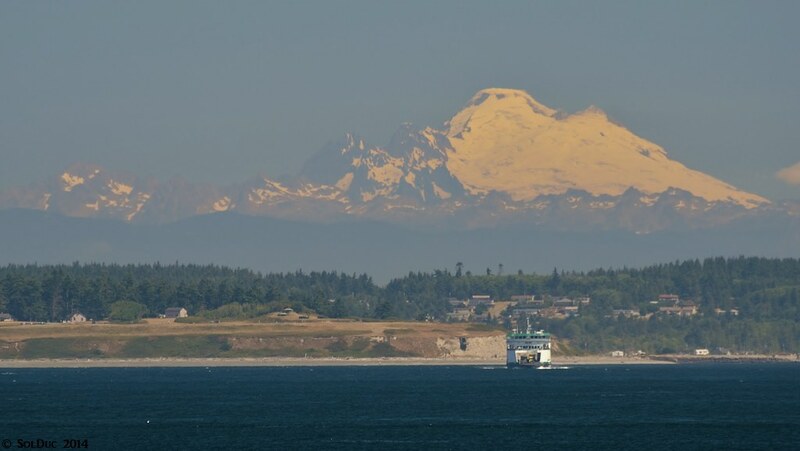 Well, today, here it is, the Kennewick blowing a long blast followed by two short ones, arriving at Port Townsend. 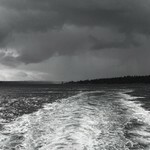 Some pictures from a trip I did on the Kennewick back on July 30th. 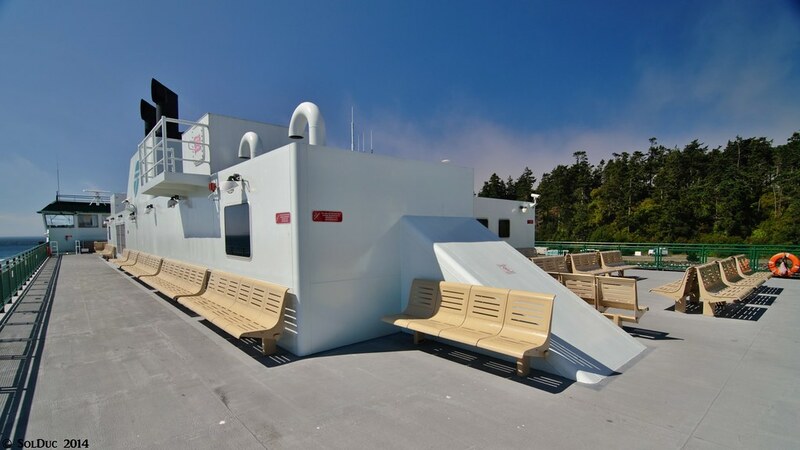 Here was the sun deck before everyone got off their cars and filled it up. I biked on so I was first on the boat. 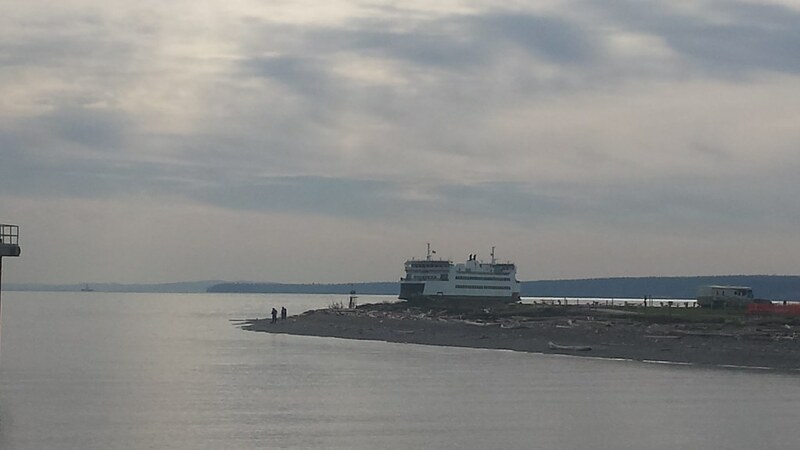 The Kenny is headed north right now and should be passing Edmonds by about 11:30. So on my recent holiday in the American west, night 1 was spent in Port Townsend, WA. That permitted me to go for an early (no, not FH sort of early) morning walk along the waterfront from our hotel; a chance to get some photos of a WSF doing its thing... 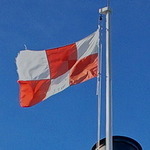 I was hoping that I might see the Salish just because I have not yet seen her. What I did get was the Kennewick, which I have seen, and ridden on, before. This time, though, I managed to get some decent photos from the PT end of the run, and that is good. 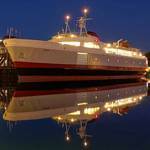 Good pics, good area for ferry photography. It looks like you were close to the tiny motel that I stayed at last summer. 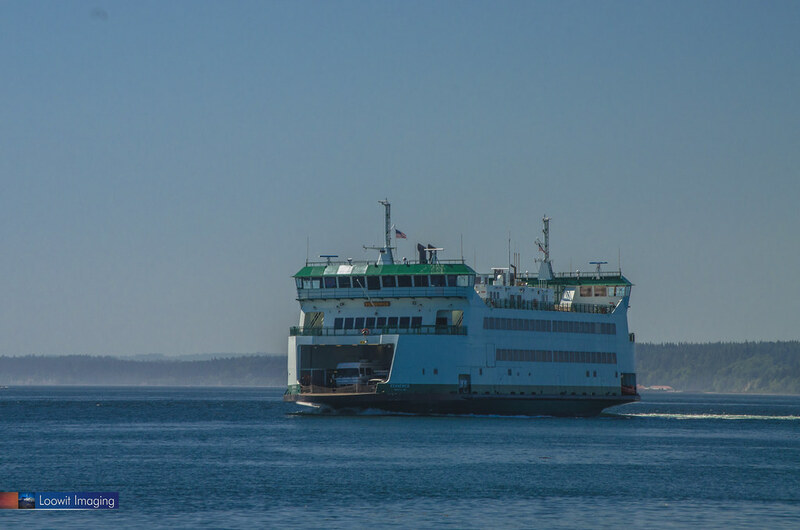 Three boat service on Edmonds/Kingston Sunday with the Kennewick providing 11 extra sailings with the PT/Coupeville run shut down for the weekend. 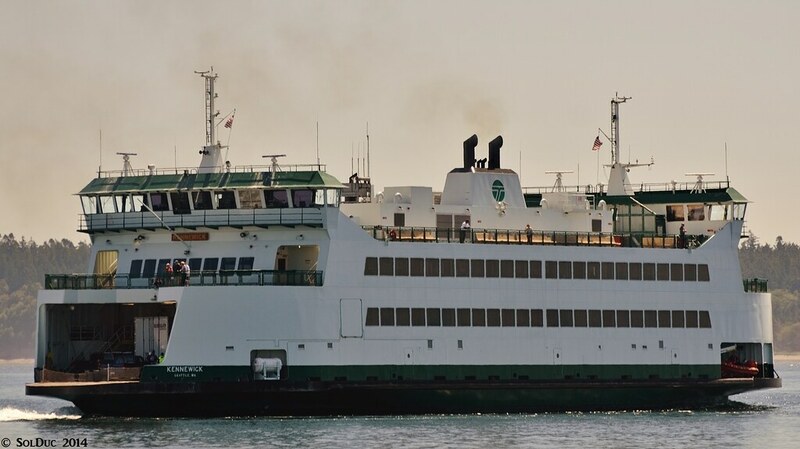 The Kitsap Sun said the Kennewick with be doing safety drills and will be working with emergency personnel and will stay in Port Townsend. 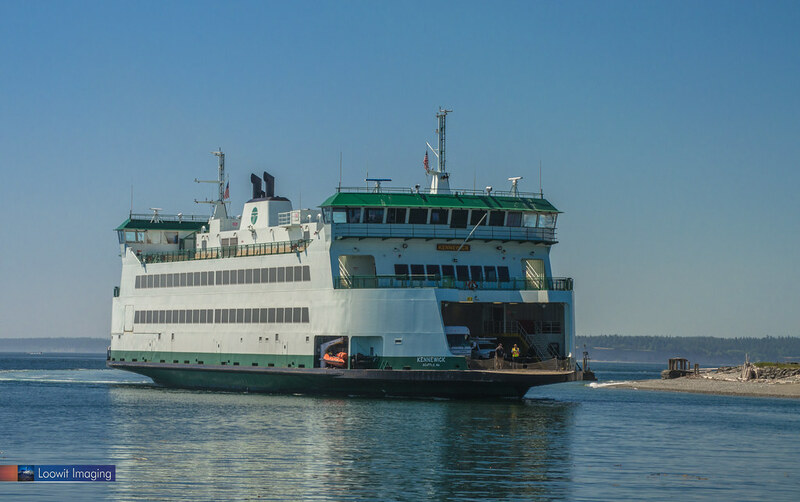 Local, state and federal agencies will conduct a day-long training exercise at the terminal Saturday, May 2, while the Port Townsend ferry terminal is closed. 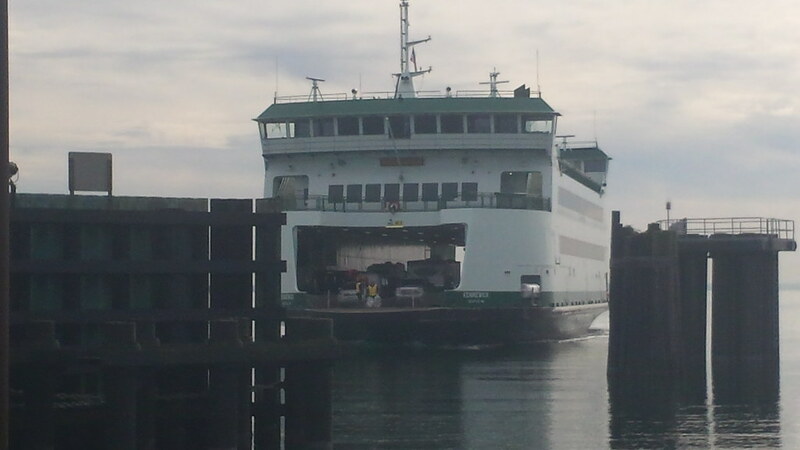 Onlookers may see helicopters, fire trucks, ambulances and EMS personnel at the dock and on the ferry Kennewick. 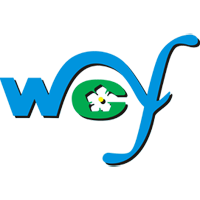 Visit East Jefferson Fire and Rescue to learn more. 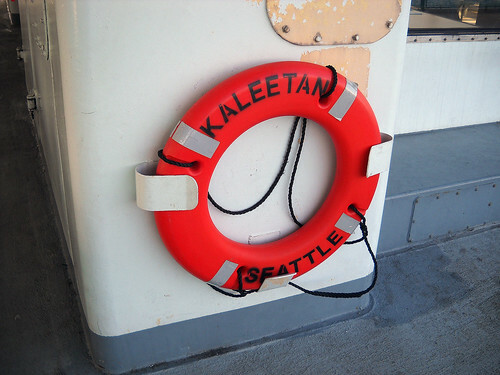 It will most likely be the Salish because she is on Standby in Eagle Harbor and it said a 64 car vessel. Cool, a rarity to see any 64 on that run for sure! 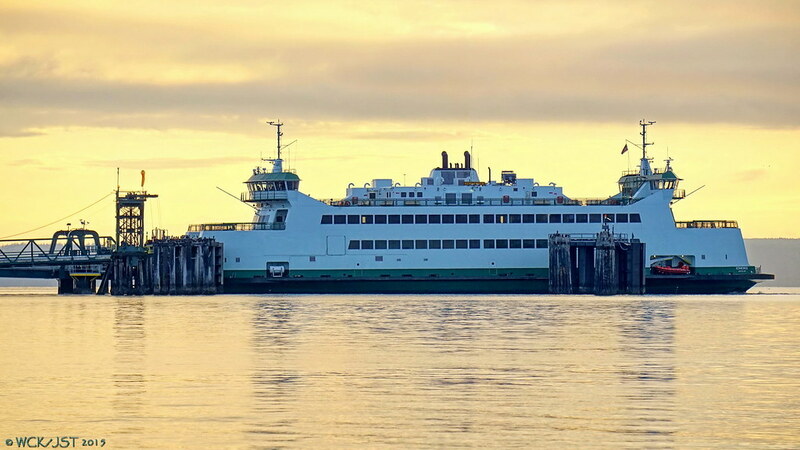 I wonder if it would be viable to do 3 or 4 direct trips a day in such as situation from Port Townsend to Anacortes or Clinton with one or both KdTs. 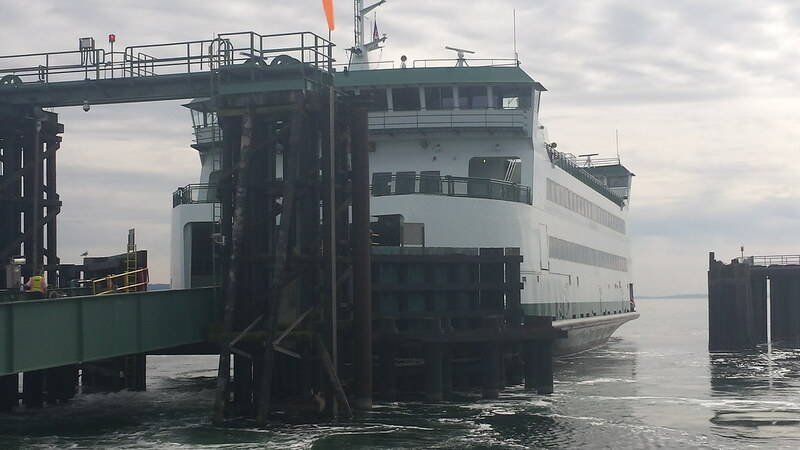 That would be somewhat similar to the "freight runs" the Sealth did when the bridge was closed. 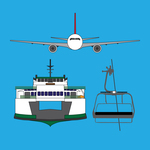 :-) Travel time each way from PT to Anacortes @ or Clinton at 12kts is nearly 3 hours though but that would be a nice cruise for sure. 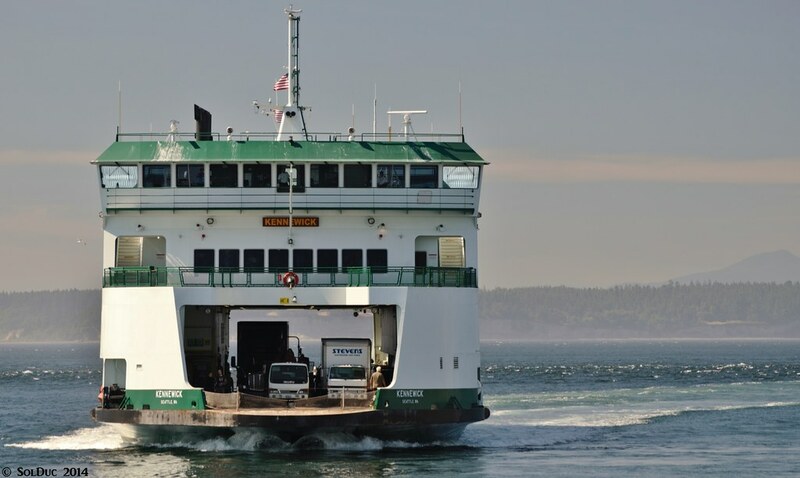 As stated from the WSF website the safety drills will take place on Saturday at Port Townsend. 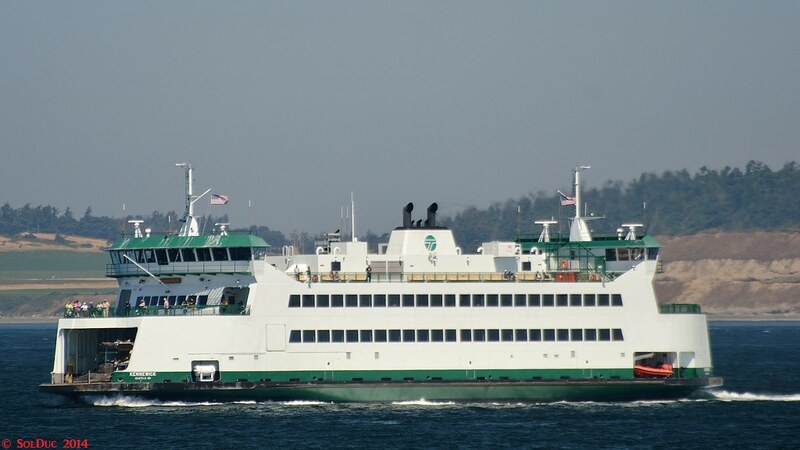 The three boat service on Edmonds/Kingston is Sunday only which leads me to believe the Kennewick will move down from Port Townsend to Kingston sometime Saturday evening. I am hoping to catch a ride on her Sunday on her rare assignment. The Kitsap Sun article states Kennewick will conduct the safety drills only on Saturday. 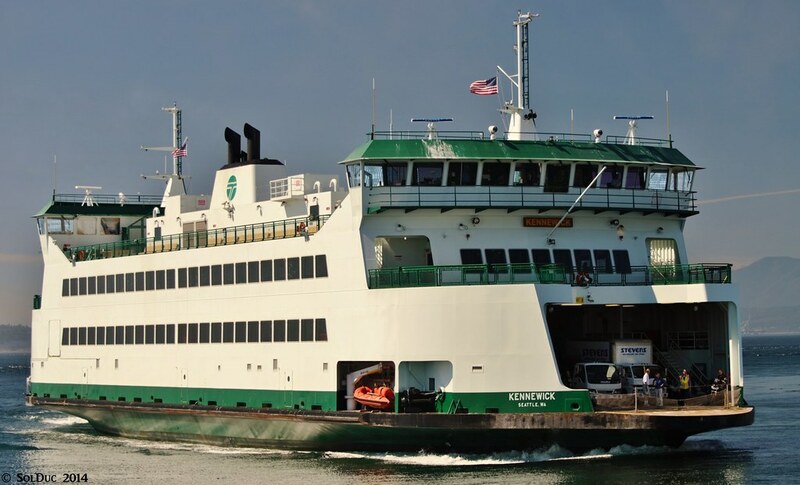 The WSF Page says the Ed/King 3-boat service is only on Sunday. My wife and I took a crossing over on the M.V. Kennewick last Tuesday on a trip up to Whidbey Island for a family gathering. 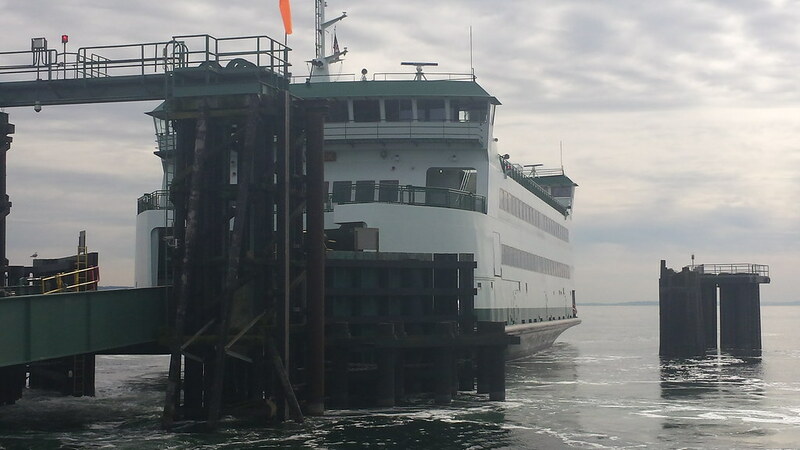 While on the way back home, were lucky enough to take a return crossing on the same ferry. Here's some shots I got of the M.V. Kennewick's arrival in Keystone Harbor on Wednesday. 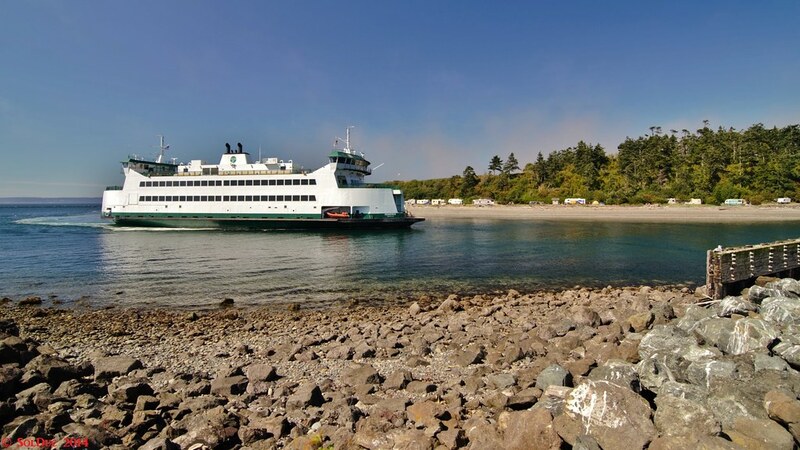 We had a blast up on Whidbey Island and stayed at Fort Ebey State Park for the night. I definitely plan on going back when finances allow! 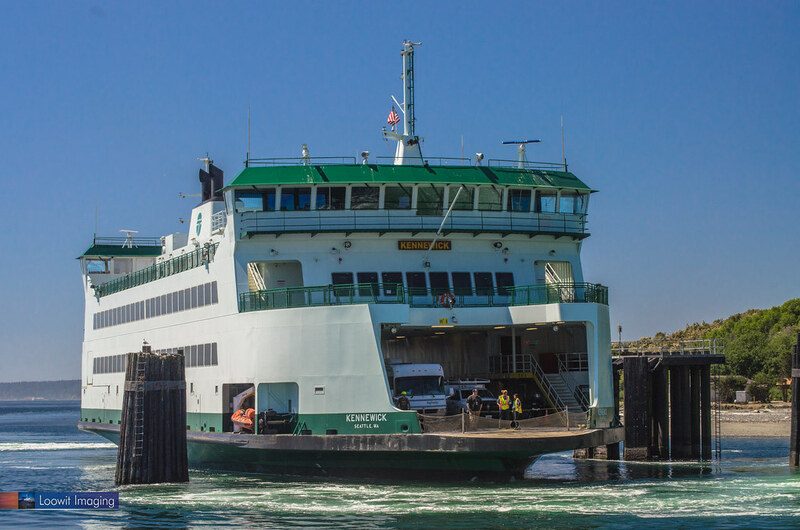 Great photos of the Kennewick! From this angle you can tell why vessels there don't dock in low tide. The Evergreen State will not be used on that run. Why would they use it for emergency training on that run? 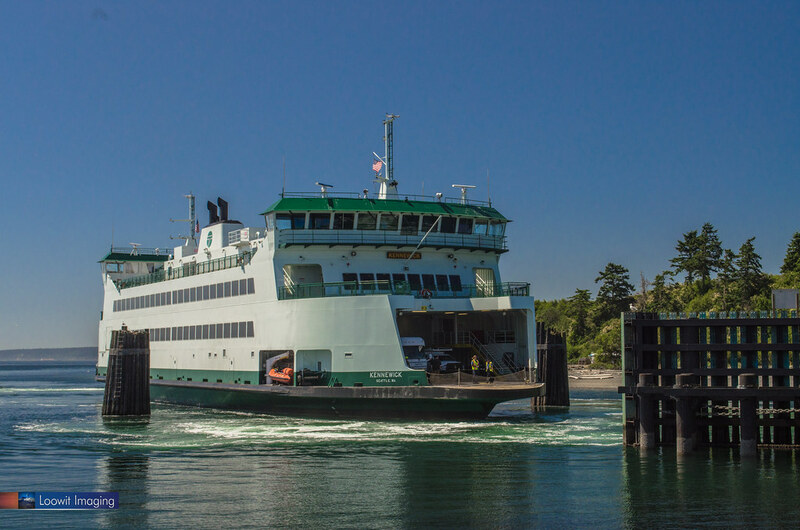 Discussion was - with Kennewick used for drills, Samish would come out of Eagle Harbor to be the third boat on Edmonds Kingston. 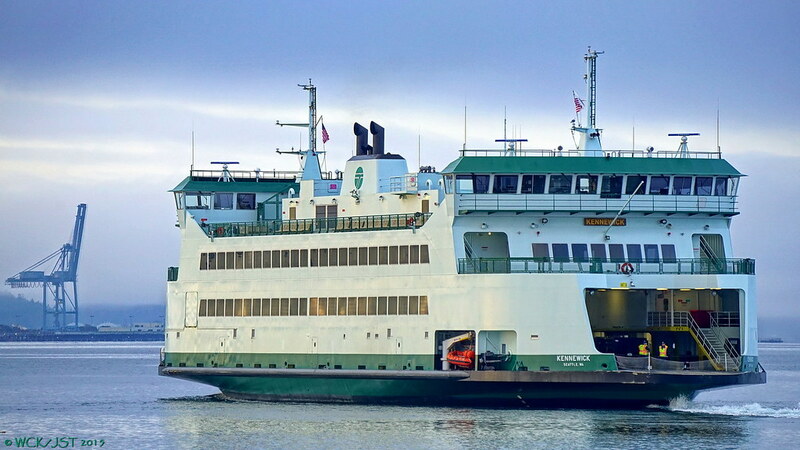 I was asking, why they were not using Evergreen State as the third boat on Edmonds Kingston. Turned out, 3 boat service was Sunday only, and they used the Kennewick. Thanks for telling me. I understand now. Anyway, Kennewick is doing pretty good at Port Towensend-Coupeville (low waits). A photo I was considering for my best of the year banner submission. The Kennewick departing Keystone in mid October. I like that picture. 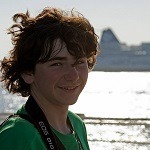 It's a nice shot and its from a good vantage point for pictures in that harbor.